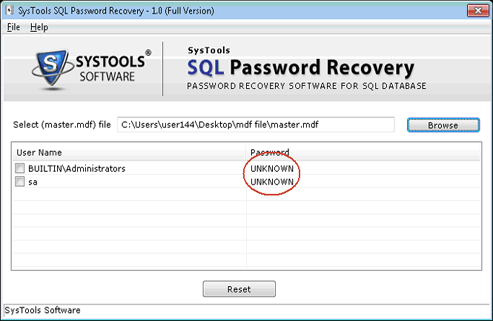 "Before proceed to SQL password recovery process first of all stop the SQL Server and create the backup of Master database from other location because SQL Server services doesn’t allow to access database while on running. 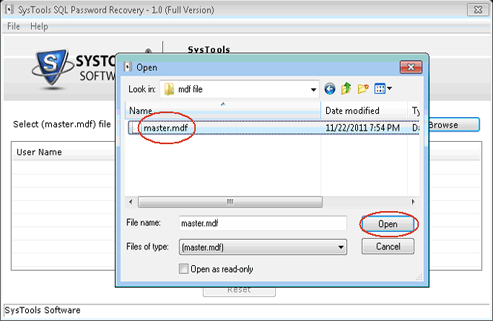 On Browsing MDF File a Window appears on the screen Displaying MDF File Select it and then Click on Open Button. 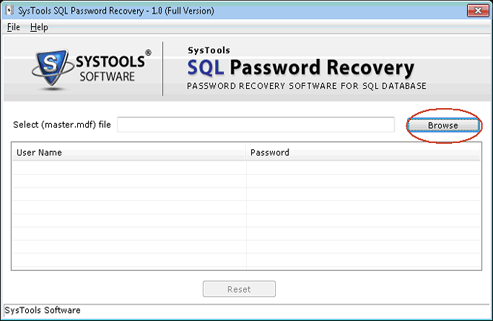 Then list will open showing all the Users Names with respective Password field that were created in SQL Server. Reset the Password by Selecting the User Name. 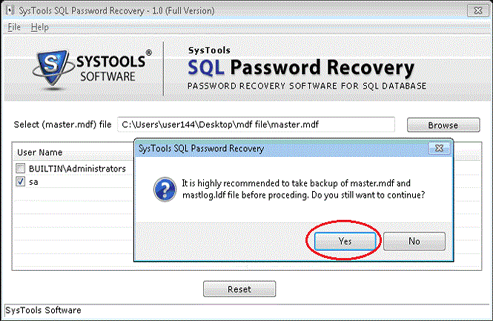 On Selecting the User Name a Small Window Opens asking about the Backup of Master Database click on yes to continue the process and go for Reset Option. Empty Password is Set for the Selected User. 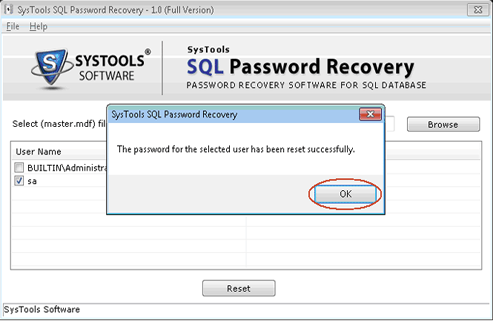 Easily Login in SQL Server Account.